Raise your hand if you're tired of hearing the same story. 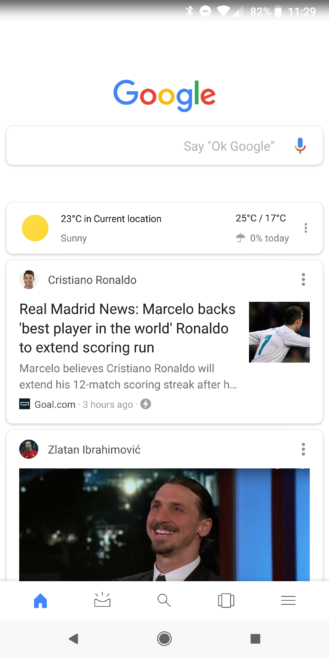 We've barely adjusted to Google's new Feed look and its un-swipeable cards, upcoming contextual data hidden behind a button, and 5-tab bottom layout inside the Google app, that the company decides, "no, scratch that, we're changing again." For the umpteenthgazillionthest time. 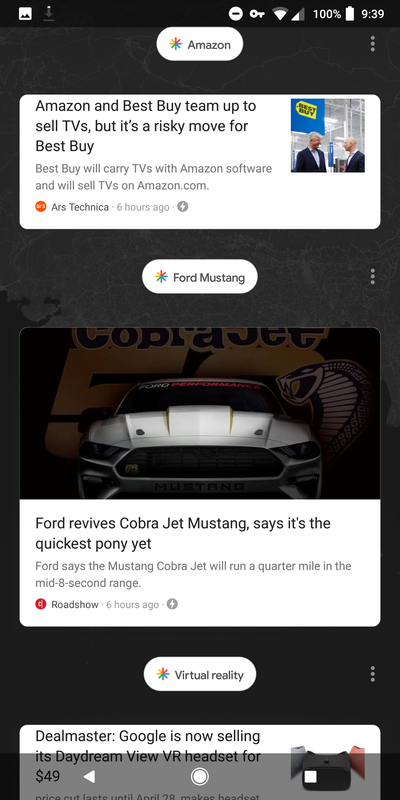 And if you thought the current new layout is annoying, wait until you see the new new layout. It's a doozy. 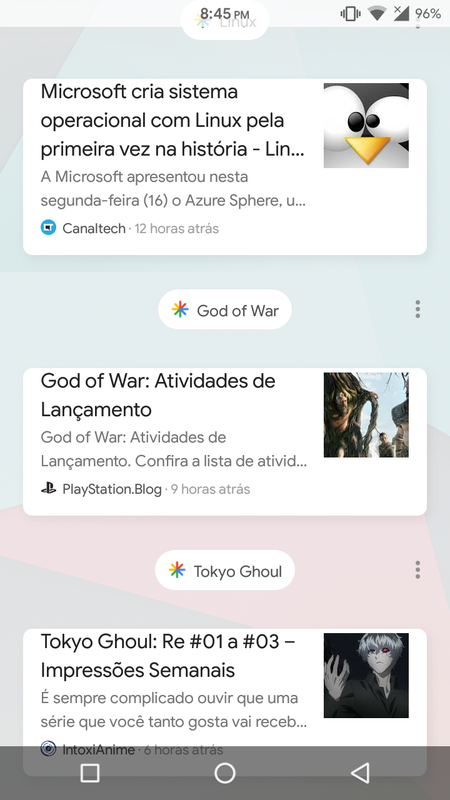 Gone is the list of neatly stacked cards with the topic inside. 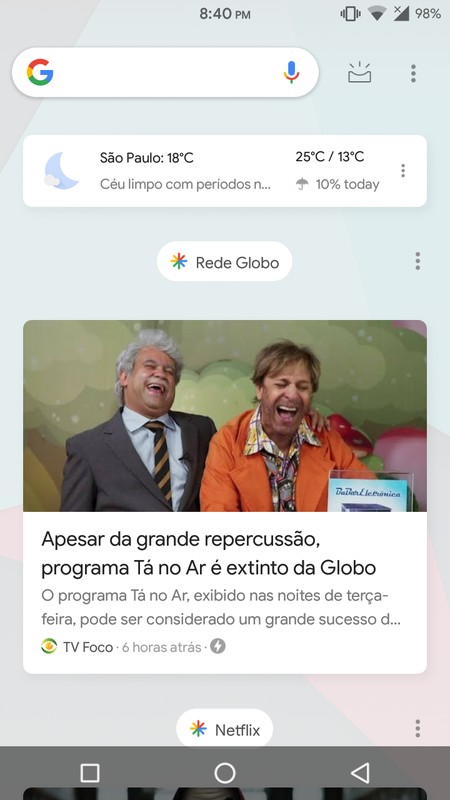 Now you get a big bubble for the topic and the article card is displayed separately below it. The layout is chock-full of wasted vertical space, even if it's slightly easier on the eyes. 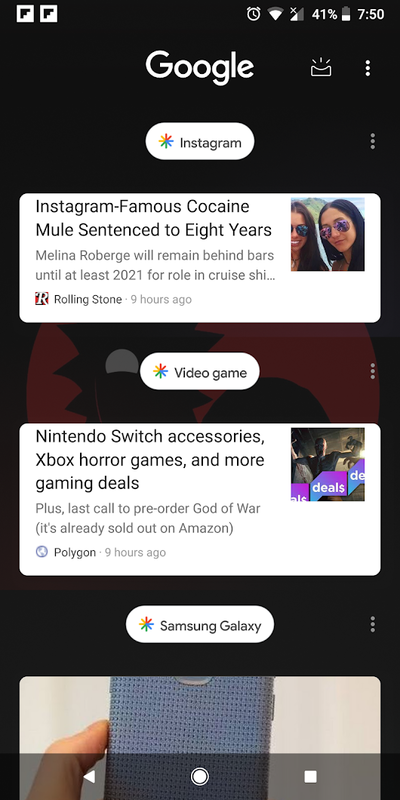 There's an overflow menu right next to the topic, and we're told the options are even more limited this time around: no more "not interested in this topic," all you get is "hide this story" and "not interested in stories from this source." Cards aren't swipeable either. We weren't explicitly told this, but I presume (and hope) that you can tap any topic bubble to unfollow it. At least that's the only way this whole shenanigan makes sense. 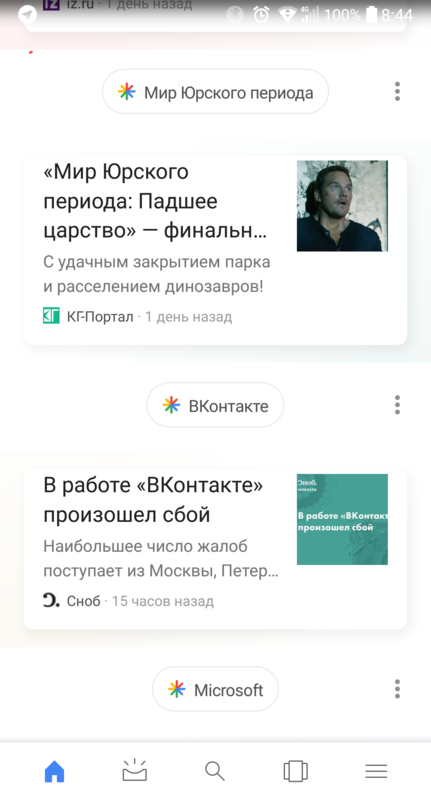 Feed on the launcher: current (left), in test (right). 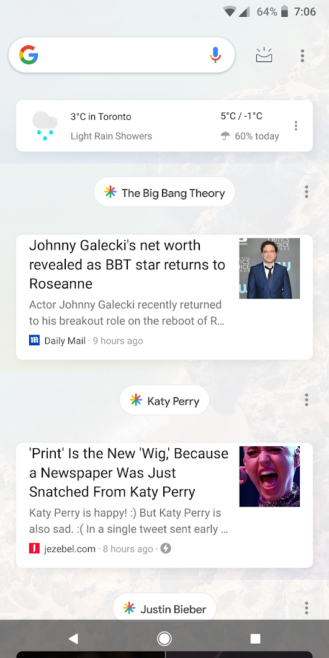 The pill-shaped bar is part of another test. Whether you're viewing the Feed in the launcher (we've seen it in tips from those on the Pixel Launcher and third-party launchers too) or in the Google app, the layout will be the same. The only difference that's always there is that opening the Google app shows the 5-button tab on the bottom instead of the Upcoming icon on the top right. 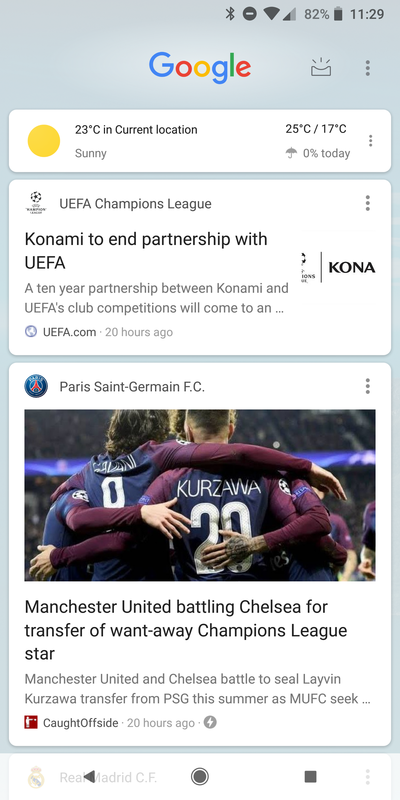 However, in the app you'll notice something you may have missed in the screenshot above: each card has a terrible diagonal gradient background that's more accentuated toward the bottom left. 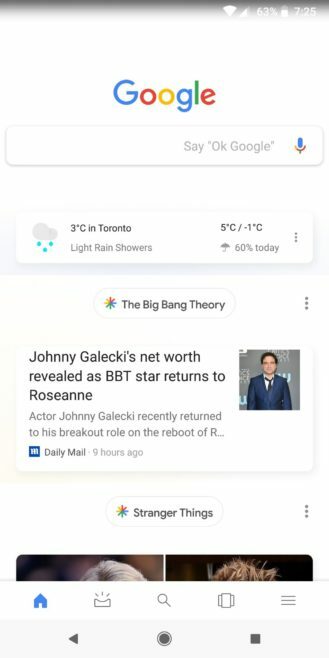 In the screenshot below, the weather has a purple one and the Johnny Galecki story has a yellow one. This is the only appropriate reaction to such a tragedy. 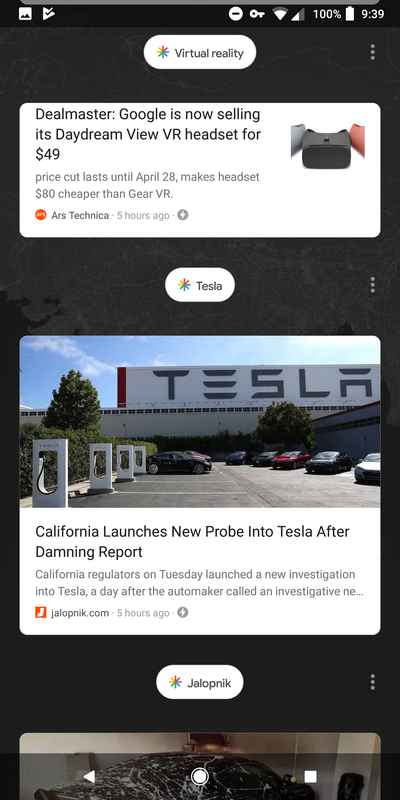 Feed in the Google app: current (left), in test (right). Notice the cards' backgrounds. Ew. If you'd like to see more of this eyesore, we have more screenshots below from our tipsters. 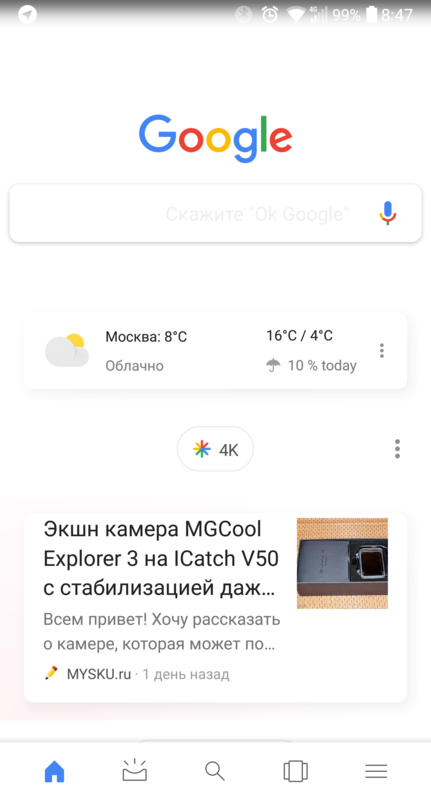 First are 2 screens from the Feed in the Google app (see those gradient card backgrounds), then 2 in the launcher with the white overlay on the wallpaper, then 4 in the launcher with the dark background instead of the light one. Thankfully, this is still a server-side test, but based on how many tips we've gotten about it, it seems to be a widely spread one. 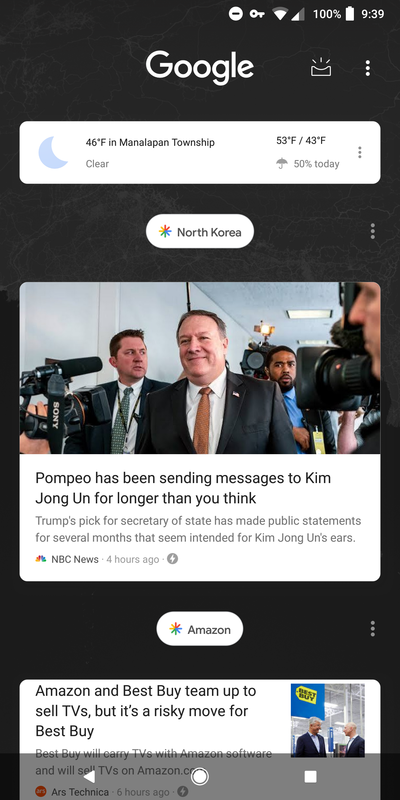 For now, we can only hope that someone with a sensible mind at Google (we did give them one of our best guys) is taking a look at this and thinking, "What the @%#$!$!" 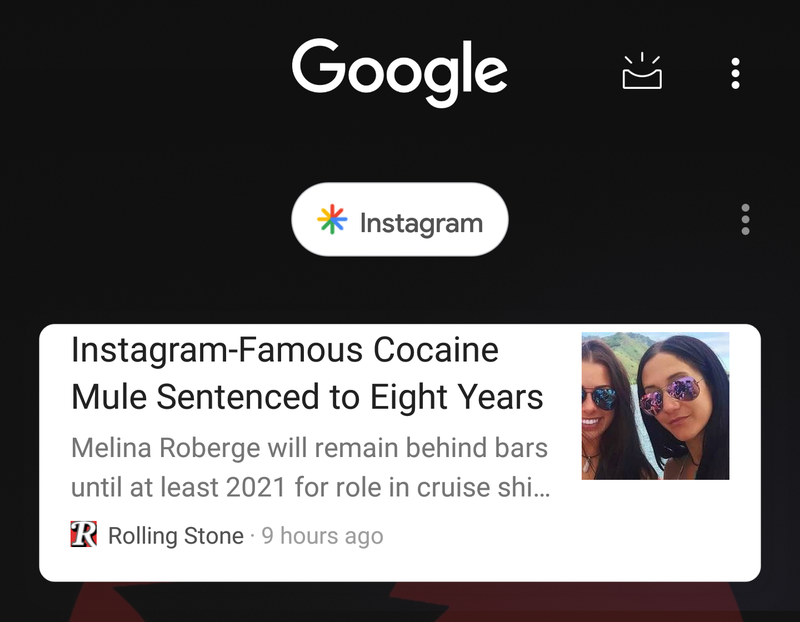 and saying that maybe, just maybe, they shouldn't be actively ruining the Feed this badly.